What is does a session look like? First we work through a dynamic warm up focusing on the muscle groups that we will be using during a session. Second we work on a strength component for that session. Third we move to a conditioning component and fourth we slow down focusing on recovery, mobility and flexibility. HCC's experienced trainers are fully qualified as well as first aid certified. Come and learn some new skills in a safe and friendly environment. If you're interested in finding out when our next Ladies Lifting Session will be and you wish to book in and secure your spot, please send us a message or contact us. 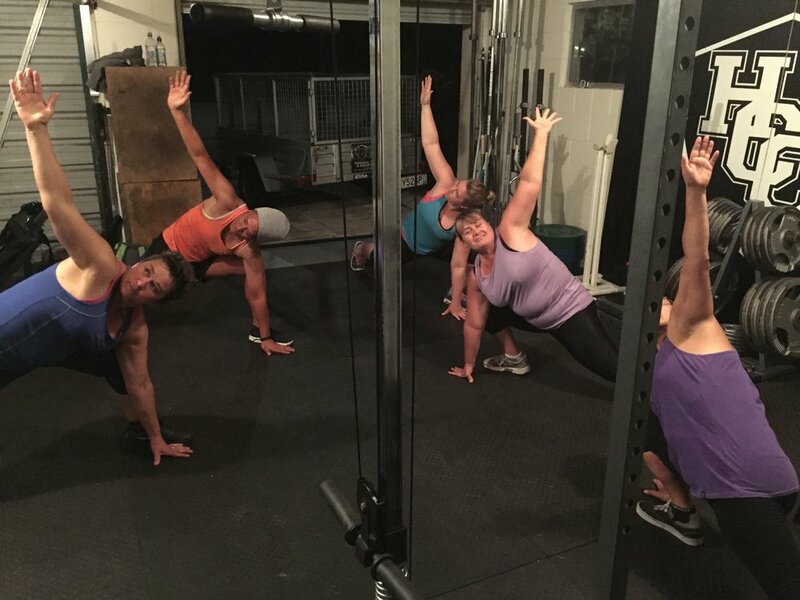 We have created an environment where women feel empowered mentally & physically. We use weights & lifting as a tool to help bring out inner beauty & strength. Our lifting program runs in 6 week training blocks with 2 one hour sessions per week. We focus on Strength, Conditioning, Mobility & flexibly increasing range of motion. Access to Maara Kai/garden programme.